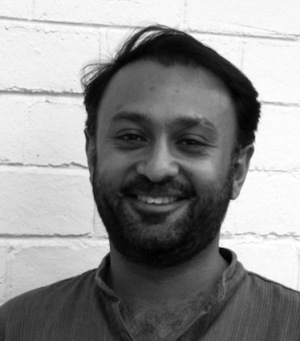 In this column, Mandeep Tiwana, policy and advocacy manager of CIVICUS: World Alliance for Citizen Participation, writes that civil society organisations around the globe face grave threats to their efficacy and existence. In violation of international commitments to foster increased participation of the NGO sector, governments everywhere continue to crack down on civil society actvists in harsh and deadly ways. JOHANNESBURG, May 17 2013 (IPS) - In December 2011, 159 governments and major international organisations recognised the central role of civil society in development and promised to create an “enabling” operating environment for the non-profit sector. Despite the tall talk at the Fourth High Level Forum on Aid and Development Effectiveness in Busan, South Korea, today NGOs, trade unions, faith based groups, social movements and community based organisations working to expose rights violations and corruption remain in a state of siege in many parts of the world. Reports by U.N. officials and respected civil society organisations show that false prosecutions and murderous attacks on activists are rife and threatening to derail international development objectives even as we debate a new framework to replace the Millennium Development Goals, which expire in 2015. In fact, moves are being championed by some governments to limit civil society participation at high-level meetings of the U.N. General Assembly through a process whereby states can issue politically motivated objections to the inclusion of particular NGOs in key discussions. Unfortunately, legal restrictions on free speech, formation of civic organisations and the right to protest peacefully appear to be on the rise despite the rhetoric of engaging civil society in global decision making forums. In many countries civil society groups are being prevented from accessing funding from international sources, as highlighted by the U.N.’s special expert on freedom of assembly and association in his latest report. In Russia, non-profit advocacy groups receiving international funding are being subjected to intrusive inspections to ensure compliance with a controversial law that requires NGOs to register under the highly offensive nomenclature of “foreign agents”, or face sanctions. A draft law currently pending in Bangladesh seeks to implement a cumbersome approval process for civil society organisations receiving foreign funding, in an attempt to discourage criticism of the government. Egypt is mulling over a new law that would allow intelligence and security agencies to exert control over independent civil society groups. Meanwhile, Ethiopia’s most prolific blogger is serving an 18-year sentence for writing about the implications of the Arab Spring for his country. A respected Laotian activist is missing after he criticised state-sponsored displacement of local communities. In Saudi Arabia, founders of the Saudi Association for Civil and Political Rights have been handed 10 and 11-year sentences for “breaking allegiance to the King.” China continues to incarcerate dissident writers calling for democratic reform, including Nobel Peace Laureate Liu Xiobo. The situation is alarming in fragile and conflict-affected states. As the civil war rages on in Syria, a number of peaceful civil society activists and journalists are being imprisoned and persecuted in violation of international human rights law. The actions of Colombian right-wing paramilitary groups have become so murderous that the country is now the deadliest place in the world for trade unionists. Women’s rights activists challenging patriarchy and religious fundamentalism in Pakistan are gunned down with frightening regularity, while activists from Sri Lanka and Bahrain voicing concerns at the U.N. Human Rights Council in Geneva often face reprisals upon return to their home countries. In Cameroon and Uganda activists seeking to advance gay rights are not only socially ostracised but also subjected to death threats on a regular basis to prevent them from carrying out their work. Even in so-called mature democracies, expressing dissent remains an activity fraught with negative consequences. A section of the environmental group Forest Ethics Canada decided to give up its charitable status, including tax advantages, in order to protect itself from intrusive inspections after being blamed by the conservative government of “obstructing” the country’s economic development. Julian Assange, founder of the activist website WikiLeaks, continues to be hounded for his exposé of U.S. diplomatic cables and, arguably, doing what most investigative journalists do. In the United Kingdom, the practice of police spies penetrating the environmental movement has prompted a sharp rebuke from the U.N., whose expert on freedom of assembly and association, Maina Kiai, expressed “deep concern” in January about police officers infiltrating non-violent groups who were not engaged in any criminal activities. As evidence from CIVICUS’ State of Civil Society Report 2013 shows, promises made in Busan about creating an “enabling” environment for CSOs were ignored as soon as the proverbial ink had dried. With discussions on the post 2015 development agenda well underway, influential civil society groups are urging the U.N.’s High Level Panel to explicitly recognise the centrality of an enabling environment for civil society in any new formulation of internationally agreed development goals. While politicians are currently preoccupied with kick-starting or maintaining economic growth, there is a real danger that civil society’s right and ability to engage decision makers in various forums will be further limited. If global development goals are to succeed, civil society needs to be able to operate free from fear of reprisals for advancing legitimate if uncomfortable concerns. After all, civil society groups contribute substantially to development strategies and help find innovative solutions to complex developmental challenges. More importantly, they help ensure the representation of a wide range of voices, in particular those of the vulnerable and marginalised in development debates. Perhaps this is why they are being persecuted.